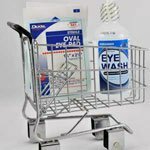 Manufacturer: Safetec of America, Inc. 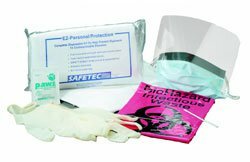 Individually bagged kit provides complete exposure protection from potentially infectious blood or body fluid. 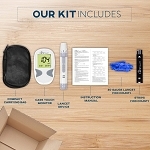 This completely disposable kit is great for ambulance drivers, emergency rooms, clinics, funeral homes, nursing homes and more. Small, lightweight and easy to pack. Buy the case of 24 and save!